As is the case with many 'sour' drinks, to make this one we take the popular Whiskey Sour formula and simply substitute apricot brandy for the whiskey. It's a quick switch and one of the great aspects of the sour family of cocktails. Once you know how to make one, it's very easy to figure out the others. There are a few ways that you can approach the Apricot Sour and we'll explore those options below the recipe. No matter how you mix it, one thing's for sure: this is​ a great and classic cocktail. With only two ingredients, the Apricot Sour is a delightfully simple cocktail, though you do have options when you make it. The Apricot Brandy. The apricot brandy is self-explanatory, though I encourage you to seek out a 'real' apricot brandy. That is one that does not include sugars and sweeteners, which technically makes it more of a liqueur rather than a true brandy. In recent decades, it has become common for liquor brands to offer sweetened fruit 'brandies' and quite often they're made with artificial sweeteners. Many drinkers have avoided these for years because they're honestly just not that good. There is good news, though! As the new cocktail renaissance continues, more and more distillers are returning to the old ways of making fruit brandy -- distilling from actual apricots (or other fruits). It is becoming easier to find great options, you just have to look for them. You may find an apricot brandy from craft distilleries or labels like Blume Marillen Apricot Eau-De-Vie (Austrian from Haus Alpenz). This is perfect for classic cocktail lovers because many great recipes like the Baltimore Bang rely on it. If you really cannot find true apricot brandy, do what many of us have done for years and turn to high-end apricot liqueurs. Three of the best are Marie Brizard Apry, Giffard Abricot du Roussillon, and Rothman & Winter Orchard Apricot. The Sour Mix. 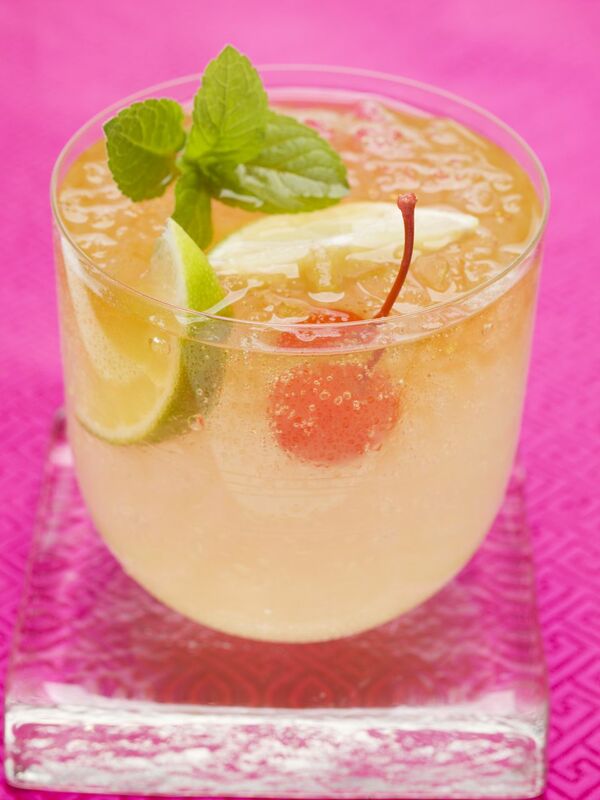 Sour drinks rely on some combination of sweet and sour. In the recipe above, a 'sour mix' is used and this is, quite simply a citrus-flavored simple syrup. It's very easy to make ​a sour mix at home and it's actually recommended because those you can buy at the store are often too sour or too sweet. If you prefer, you can also pour equal parts simple syrup and fresh lemon juice. This is a nice option because it allows you to adjust either ingredient to fit your taste or the particular apricot spirit you're using. For instance, with a sweeter apricot liqueur or brandy, I'd back off the syrup a bit and make up for it with more lemon. The other option is to skip the sweetness altogether and use lemon alone as we see in the Scotch Sour. How Strong Is the Apricot Sour? The apricot-flavored liquor you choose (or can find) is going to determine how strong the Apricot Sour really is. With all the options, it's a bit of an unknown because some sweet fruit 'brandies' and liqueurs are 50 to 60-proof (or lower) while true apricot brandies tend to be 80-proof. Let's take the high side and assume we came across a great bottle of true 80-proof apricot brandy. In this case, the Apricot Sour is a relatively mild 15 percent ABV (30 proof). This is right in line with other sour drinks and why they're perfectly casual cocktails for happy hour, dinner parties, and the like.